One of the controversial issues that the Goodluck Jonathan administration has had to contend with, is what to do about Justice Ayo Salami, the suspended president of the Court of Appeal. Despite Salami’s reinstatement by the National Judicial Council (NJC), President Jonathan has consistently refused to recall Salami. The latest development in the matter is the declaration by the NJC, that it is within its vested constitutional powers to recall and reinstate Justice Salami as the president of the Court of Appeal and does not require the president’s authority to do so. The council also posited that the continued stay in office of Justice Dalhatu Adamu as the president of the Court of Appeal is unconstitutional and illegal. This position by the NJC raises the question of why it hasn’t gone ahead to reinstate Justice Salami if it possessed such powers. The NJC’s position was in reply to a case instituted by some persons on behalf of the registered trustees of a non-governmental organization, Centre for the Promotion of Arbitration. The case involves how to interprete the powers of the NJC, as well as that of the president in the exercise of disciplinary power over Justices of the Court of Appeal as enshrined in the constitution. The group asked the court to determine whether the president, who is listed as the first defendant in the suit, by law, has powers over the president of the Court of Appeal under section 153 and section 21 of the Third Schedule of the Constitution and whether the president has any step to take within these sections, in relation to the recall of Justice Salami as recommended by the NJC. 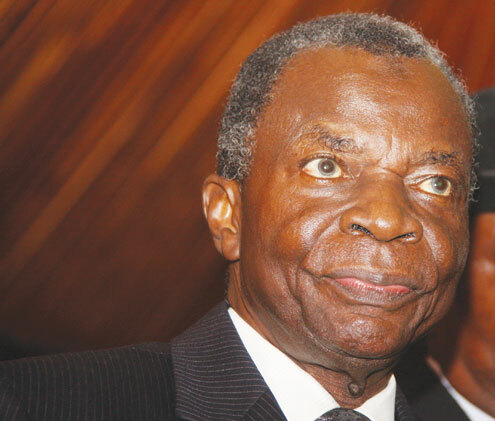 The court was also called upon to determine whether the National Judicial Council, listed as the 3rd defendant, solely has the powers to exercise disciplinary functions over the justices of the Court of Appeal as it affects Justice Salami. They also want the court to determine whether the recommendation by the NJC for the recall of Justice Salami has not put an end to all disputes relating to his suspension and recall. The plaintiffs contended that the National Judicial Council has no powers constitutionally to recommend the suspension of Justice Salami to the president for ratification to which the president acted upon ab initio, without any laws backing such actions. They also faulted President Jonathan’s reappointment of the acting president of the Court of Appeal, Justice Dalhatu Adamu, on a permanent acting capacity without the constitutional approval of the National Judicial Council and outside the relevant laws in the circumstance of the case. They argued that the non-implementation of the recommendation for the recall of Justice Salami by the NJC is a breach of the constitutional function of the Council. The NJC, in its reply agreed with the registered trustees of the NGO that the exercise of disciplinary power and recall of a suspended justice of the Court of Appeal is exclusively vested in the NJC by the constitution in sections 153, 158(1) and paragraph 21(1) of the 3rd Schedule. It also stated that the only instances where it exercises its powers in conjunction with the president is in appointment and removal of judicial officers which do not extend to its powers over reinstatement or recalling of suspended judicial officers, which according to it, is exclusively exercised by the Council. The Council submitted that it is not required to have recourse at all to the president in exercising its powers to reinstate Justice Salami and that it is within its vested constitutional powers to recall and reinstate Salami as the president of the Court of Appeal. Furthermore, the NJC posited that by virtue of section 238 (5) of the Constitution, that the acting president of the Court of Appeal, Justice Dalhatu Adamu, cannot be reappointed after the expiration of three months without recommendation of the NJC and that his continued stay in office is unconstitutional and illegal. The presiding judge, Justice Adamu Bello adjourned further hearing in the matter till Friday 4 December.